He first met the Dalai Lama in 1975. He first met the Dalai Lama in 1975. Of the meeting, maverick photographer Raghu Rai simply says, “In creativity, instinctive response is more precious than all the gyan you have. The intuitive response to any person connects you with the spirit of that person. India’s most well-known photographer had no plans to become one. He started “by chance” while he was with his brother who was a photographer. “Sometimes by accident you find a direction,” says Rai. 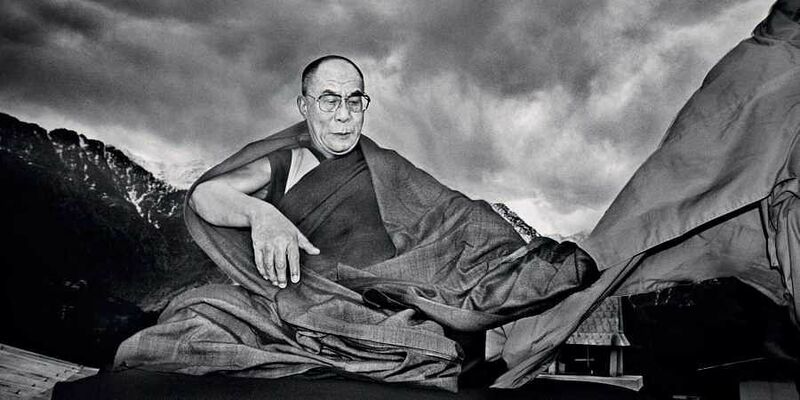 In 1985 or so, he met the Dalai Lama for the second time when his publisher asked him to do a book on His Holiness. “The location was Bodh Gaya. The Dalai Lama in those years could barely express himself in English, but that did not matter. For people such as His Holiness and Mother Teresa, it’s the expression and the spiritual energy that matters.” The meetings from Bodh Gaya onwards just became a routine affair for Rai. The present book traces his relationship with His Holiness—1975 to the present times—termed by Rai himself as a ‘complete’ one. “I have not seen the great Gods, but I believe, in today’s times the Dalai Lama can be counted as one and we are lucky to have him among us,” he says.